Insult and abuse political candidates and lose your vote? This reminds me of a couple of incidents when I have been insulted on the doorstep whilst canvassing. The best one was when a chap came out of a house and down his path to insult a group of canvassers. He made his point and then said ‘just wait until I see that Tony Robertson I’ll tell him a thing or two as well’. I was stood right in front of him at this point and he clearly did not realise this. He must have heard us laughing as he returned to his house wondering what had amused us. Another one was a chap who opened his door and went utterly off his head shouting and carrying on. His performance brought out the neighbours it was so loud and abusive. I just stood there until he ran out of steam and said ‘you are a a rude ignorant man and should be ashamed of yourself’. He looked around realised the whole street was watching him and slunk back into his house. Those stories could make it sound like abuse from electors is regular, in fact it is not at least not on the doorstep; most folks are really pleasant no matter what their political views are. The problem is the internet. Yes I get abusive responses to my blog postings on the odd occasion, often from people with seemingly false names and e-mail addresses. Frankly, I just ignore and delete them. Would I take away a person’s vote because they are ill-mannered and abusive? No of course not, except in cases where harm was being threatened to an individual as there’s no excuse for that under any circumstances. By the way I can’t recall being insulted on the doorstep by a woman. The nearest to it came when a woman said to me she could not vote for me as I had closed her child’s school some years previously. In fact I had campaigned to keep it open and had been at that school as a child myself! But she would not have it and clearly thought I was making up the claim to have tried to save the school from closing. Now that encounter really did hurt even though it was not abusive. 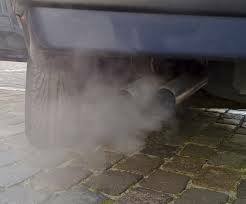 The Liberal Democrats have called on the UK government to introduce a new Act to tackle poor air quality and ensure vital pollution limits are not watered down post-Brexit. Today marks the 60th anniversary of the Clean Air Act, which was introduced in the 1950s to tackle deadly smog affecting UK cities. In a letter to Secretary of State for the Environment Elizabeth Truss – signed by the Liberal Democrat Environment Spokesperson Kate Parminter, Transport Spokesperson Jenny Randerson and MEP Catherine Bearder – the government is urged to ensure it follows through on EU agreements to tackle air pollution and enshrine essential limits into British law. Why are Labour trying to sound like Tories? Labour must think that by sounding ‘Tory’ over benefits and welfare that it will bring them votes but to me some of their utterances are getting to the point where even Tories must wince at their remarks.